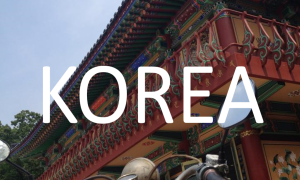 Three months after my university graduation, I bought a one-way ticket to South Korea. I did so because I knew almost nothing about Korea, and it seemed like a state of displacement was the best place to learn. That premonition was certainly right. After having used Jeju Island, South Korea as a travel hub for nearly two years, I can say with certainty that Asia is weird. There are nomads on smartphones, tarantulas on barbecues, and tomatoes on ice cream. Matching couple outfits are a standard in Korea. I’ve eaten raw horse. The best part is, these things are all entirely normal. When in Asia, I am the one who is weird. I’ve been continually awed by the beautiful places that Asia has shown me:the limestone lagoons of Palawan, the ruins of Angkor Wat, the swift thunderstorms of Mongolia. In each place, though, it is the people themselves who have shown the most beauty. Click an image. Browse that region.